One of the damaged lights at the Campbell River Hospice Society. Photo courtesy of executive director Louise Daviduck. CAMPBELL RIVER, B.C. 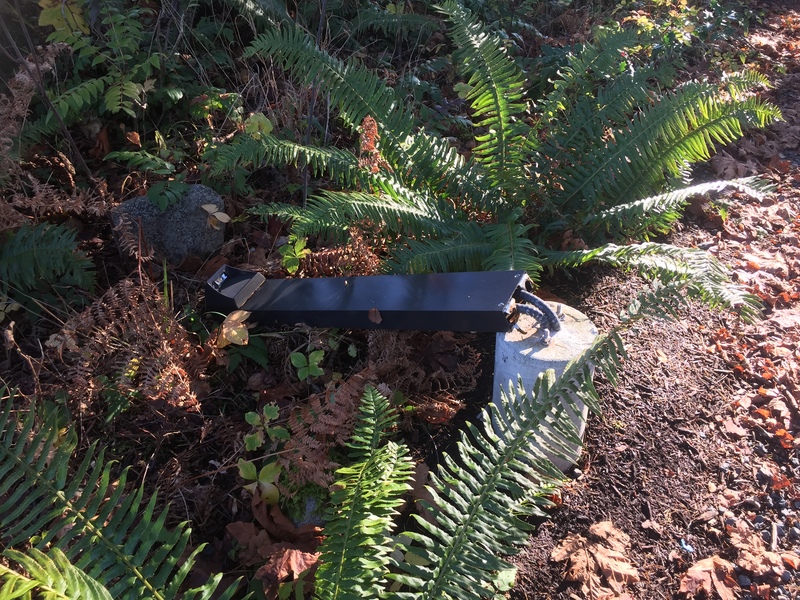 – The newly installed garden lights for the Campbell River Hospice Society’s garden were knocked down and vandalized. 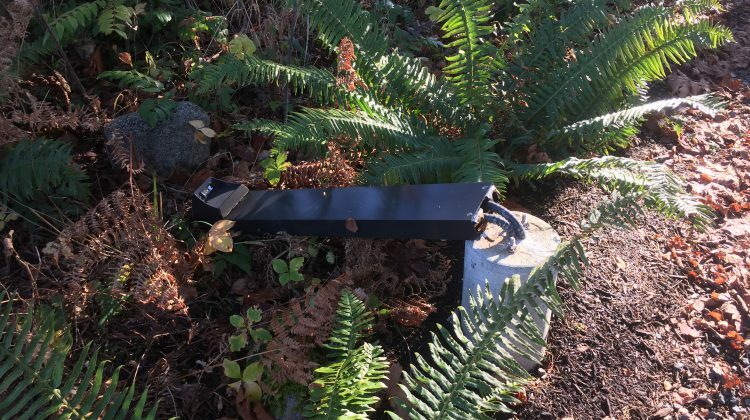 Louise Daviduck, the Society’s executive director, said whoever vandalized the lights put in a lot of effort into damaging them. Each light was anchored to a cement bollard and would not have been easy to kick over. This is the second time the lights have been damaged, according to Daviduck. She said no one quite knows when exactly the damage was done. She had just come back from a break when she found the lights knocked down. “It’s the expense, it’s the time, and it’s just the fact that love built this building and the space around it. The love of the community – so many people came together to make sure that this building was available for people who are grieving and who are facing the end of life. It’s a shame to see the lack of respect for that,” Daviduck said. Daviduck said that people from the community have reached out to the Society to offer help. She said a retired electrician has offered his services, and others have offered monetary support. She also said the incident has since been reported to the police. The Hospice Society has a lighted garden vigil planned and Daviduck said the lights would have played a huge part in it. She said they will still continue with the vigil as planned. The Society is asking for donations of outdoor lighting and lanterns in time for the garden vigil on December 18th.